The Omidyar Network, which is the nonprofit for liberal billionaire eBay founder Pierre Omidyar, has partnered with George Soros’s Open Society on numerous projects and has given grants to third parties using the Soros-funded Tides Foundation. Tides is one of the largest donors to left-wing causes in the U.S.
Poynter’s IFCN is also funded by Soros’ Open Society Foundations, as well as by the Bill & Melinda Gates Foundation, Google, and the National Endowment for Democracy. In March, the Omidyar Network also provided the Anti-Defamation League (ADL), whose chief has baselessly smeared Breitbart News with claims of anti-Semitic associations, with a six-figure seed donation to build a Silicon Valley command center purportedly aimed at combating online hate. The company’s leaders produced “Blood on the Stone,” a documentary that accompanied the DVD for the Oscar-nominated “Blood Diamond” movie starring Leonardo DiCaprio. Insight TWI collaborated with with Al Jazeera English to produce an “Africa Investigates” series. In 2014, the Omidyar Network provided Ossoff’s Insight TWI with a $350,000 investment, listing Ossoff specifically on the award announcement posted on Omidyar’s website. Regarding the Facebook fact-checking project, the Omidyar-funded International Fact-Checking Network recently drafted a code of five principles for news websites to accept, and Facebook announced it will work with “third-party fact checking organizations” that are signatories to the code of principles. Ossoff, a former aide to Rep. Hank Johnson (D-GA), was widely touted by major progressive groups for his attempt to win a House race in Atlanta’s conservative suburbs. The Democratic Party excitement surrounding Ossoff’s bid led the Drudge Report to label him the “Dem Trump slayer” in a banner headline. Drudge later mockingly crossed out the words “Dem Trump slayer” as Ossoff’s chances for victory seemed to have faded. Unofficial returns showed that Ossoff had earned less than 50 percent of the vote, the threshold needed to declare an outright victory. 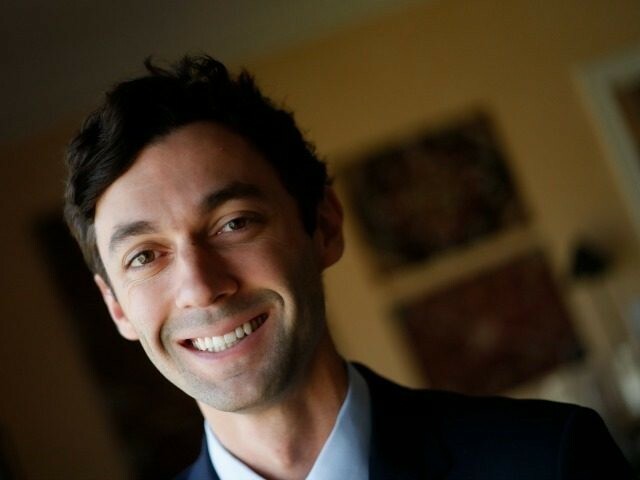 Instead, with 48.3 percent, Ossoff was headed to a runoff against Republican Karen Handel, a former Georgia secretary of state and the top GOP vote-getter in a special election to replace Health and Human Services Secretary Tom Price in Georgia’s 6th Congressional District.